Ganapati (Skt. 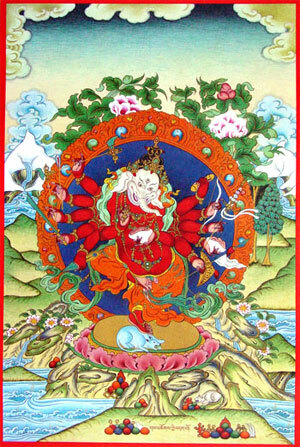 gaṇapati; Tib. ཚོགས་བདག, Tsok Dak, Wyl. tshogs bdag) — an aspect of Ganesha, the Hindu elephant-headed god of luck and wealth. Like several of the Hindu pantheon, Ganapati is recognized and respected in the Buddhist tradition as a powerful worldly protector. This page was last edited on 14 April 2018, at 00:04.